Herts Memories is all about uncovering what you think is special about Hertfordshire. You can use the site to share your stories, memories, snapshots, research and observations of life around the County. It’s entirely up to you what you add; your memory can be of an event you attended last week or something that happened years ago. Who is Herts Memories… for? Herts Memories is the main site in a network of community archives. 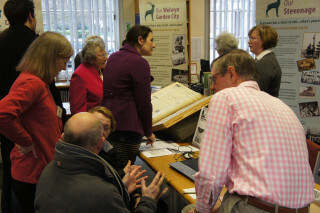 Staff from Hertfordshire Archives and Local Studies, Libraries and local museums work with volunteers to develop the sites. Even if your community doesn’t have a local site, you can still get involved via the main Herts Memories site. You could set up a volunteer group in your town or village and encourage other people to get involved. Why not run a memories event, or a coffee morning where people can come together to share their memories of life in their town or village? You could also encourage your local Clubs and Societies to contribute. Contact us to find out how we can help you. Links to other websites are included at the editors’ discretion. The editors will contact you if there is a reason why they cannot publish all or part of your contribution. What a brilliant facility, I wish I had found it sooner!